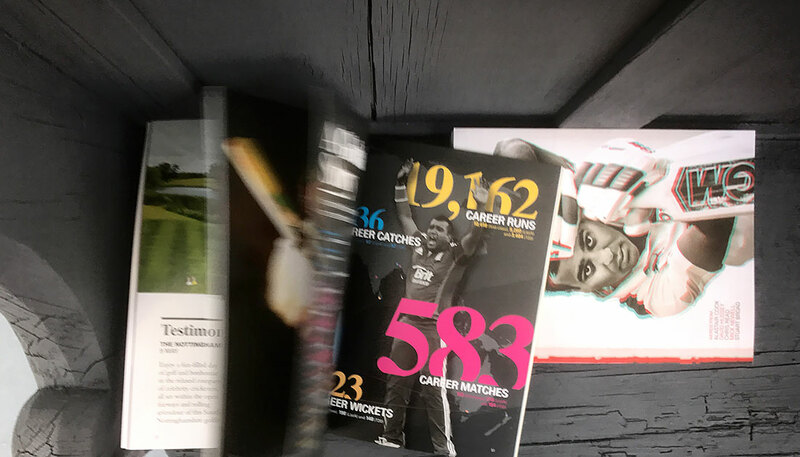 The international summer of cricket kicks off today as England take on Ireland in Bristol. 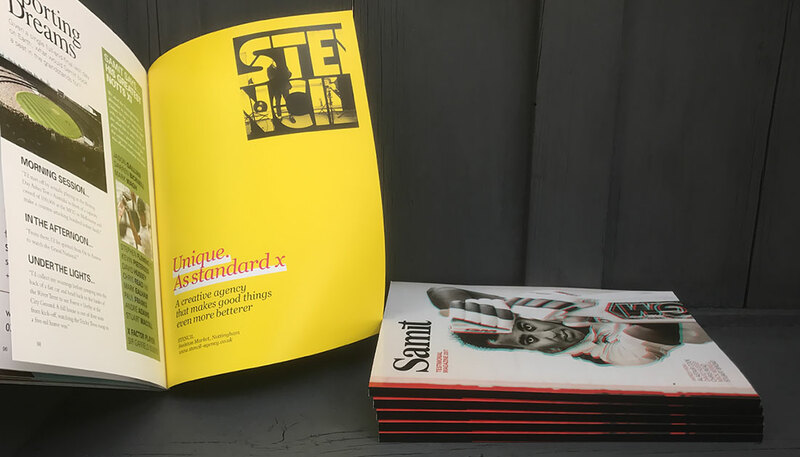 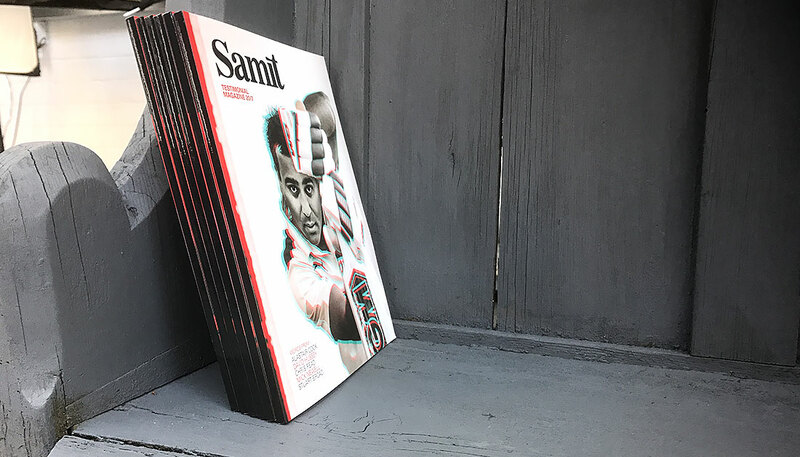 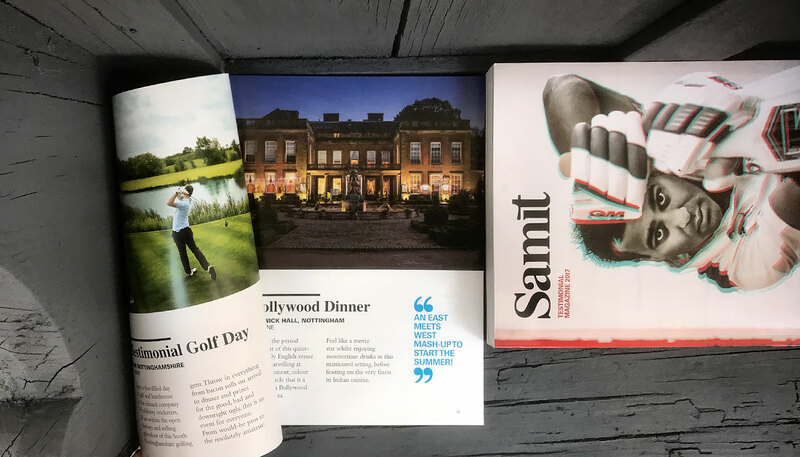 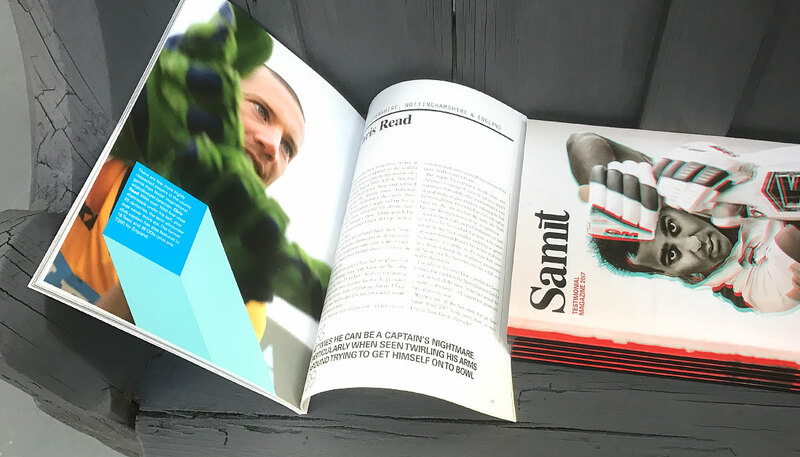 And with the smell of linseed flaring the nostril and the thwack of leather on willow its soundtrack and punctuation, here’s a look at the magazine STENCIL created in support of the Testimonial Year of England allrounder Samit Patel. 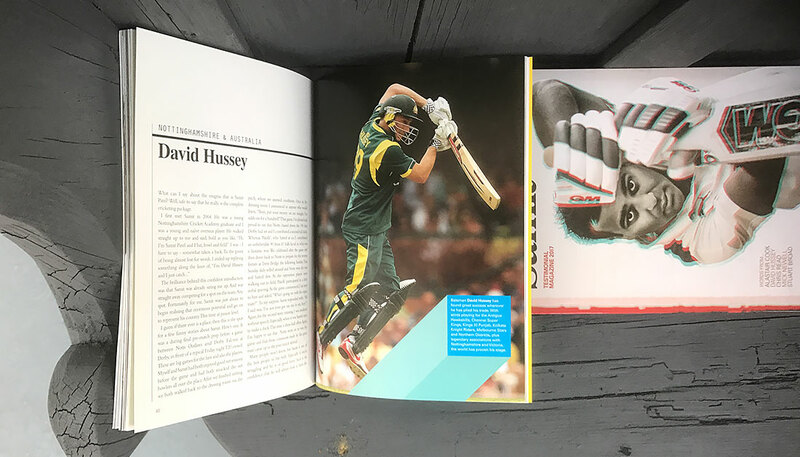 A striking cover – the 3D effect capturing the player’s standing as a cricketer who bats, bowls and fields brilliantly – plus a mix of features and content supporting what has already been a great career. 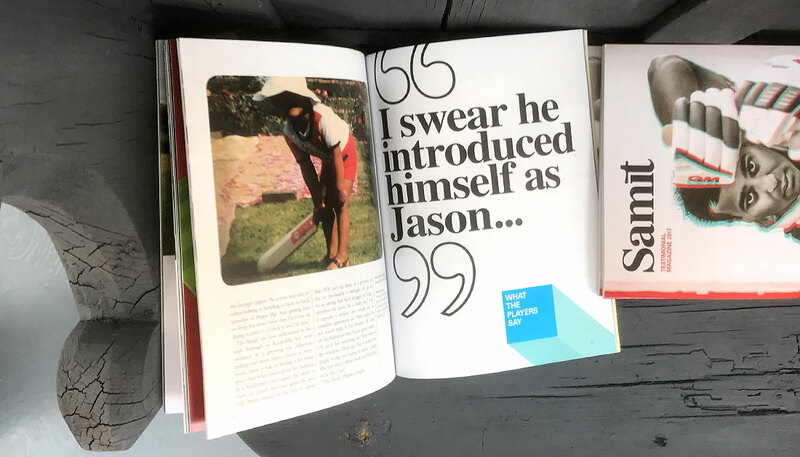 The 100-page title also makes fantastic use of the family archive and bespoke photography.